Hosting neighborhood meetings and educational presentations on the benefits vs. cost of renewable energy: solar, wind, geothermal etc. Working with private foundations and public entities to legally establish a pool of "buying power" or circulating loan funds to assist owners in purchase & installation of renewable energy systems. ​Why: Outdated policies governing electric utilities don’t fairly value clean energy & polluters have had free license to pollute. How: Help overhaul obsolete rules that restrict the new energy market, while supporting and defending EPA’s Clean Power Plan. Support public officials and private groups that are working to introduce policies that allow clean energy to flourish. 1. 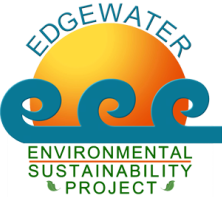 Solar Community Loans for Edgewater: (Seamus Fitzgerald, Project Lead) The Overhead Project Solar Development, LLC is an independent solar financing company that seeks federally registered 501(c)(3)s in the Edgewater community with whom to partner. How a solar pv cell works.